I am just moving along on making those Christmas gifts one at a time. I wisely knew my sister’s quilt would take me the longest so that is what I have focused on the past few days. There is a little bit of unsewing needing to be done on a few crooked lines. Tonight I will knit though on my first gift due on Thursday. 2. Rayna Gillman’s new book: Create Your own Freeform Quilt. This book on improvisational quilting is a delight and really gives you the freedom to explore what you can do with all kinds of fabrics and makes good use of scraps and the undesirables you may have. It is another read from the front to back kind book. You will read it again and again! 3. 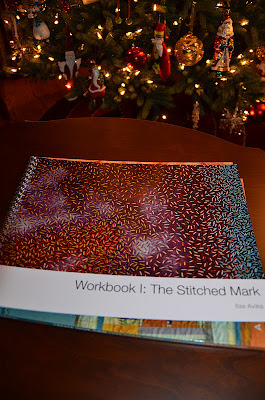 PUSH Stitchery:30 Artists Explore The Boundaries of Stitched Art Believe it or not, I found this little book at a local outlet store for a few dollars. It looked like it had been used but for a few bucks, it was a steal. 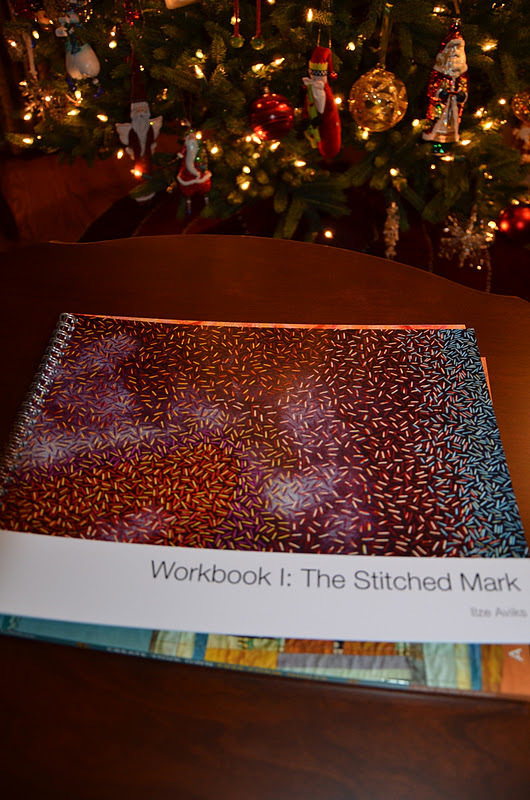 Very , very cool book of 30 textile artists who have absolutely pushed the outside limits of the textile arts. It was a current find and it sits proudly on my coffee table as I enjoy it -artist by artist. Any books you would like to add? Have fun working on Christmas things this weekend, my friends. This entry was posted in books, Christmas 2011 on December 9, 2011 by Colleen Kole. Other than fabric, two of my other favorite things are used bookstores and independent coffee shops. First, the cup of coffee and then a trip to the bookstore . There is really nothing better than snooping around a used bookstore pretending as if I have all the time in the world to read many, many books. I don’t at all mind that kind of dusty smell and messy piles of books on the floor or piled high to the ceiling on shelves. Thumbing through one of the shelves last week or the week before, I found a wonderful book. What a beautiful cover for this hardcover book. I have a particular fondness for hardcover books and I will not sell or pass on any of them. I know many people think I am silly when you can put it on a book reader but I love my books I can hold in my hands. These color swatches in preparation for dyeing are lovely. Why wouldn’t I have done this before I dye? I cut a small piece of fabric (sometimes…) after I dye but what a great resource this would be if I took the time to do it before I dye. I ordered another book (suggested by Nellie Durand in her blog tutorials) from the huge internet place in the sky. It is a great resource book and maybe will help me in my quest to understand color better. The older books seem to contain more art theory contained in them rather than a specific artist’s technique to approaching color. Feels like I need more of the basics at this point. Both used books were purchased at low prices even with the shipping I had to pay on the last book. Give an old book new home, my friends and you might learn something new! Don’t forget the coffee when you sit down. This entry was posted in books, process of becoming an artist on October 26, 2011 by Colleen Kole.